God is wonderful beyond wonderful! God’s thoughts are wonderful beyond wonderful! God’s thoughts are so wonderful that we need the Holy Spirit to help us understand them. But even though the Holy Spirit becomes the voice of God telling us of God’s high and lofty thoughts our understanding of them will still be limited. 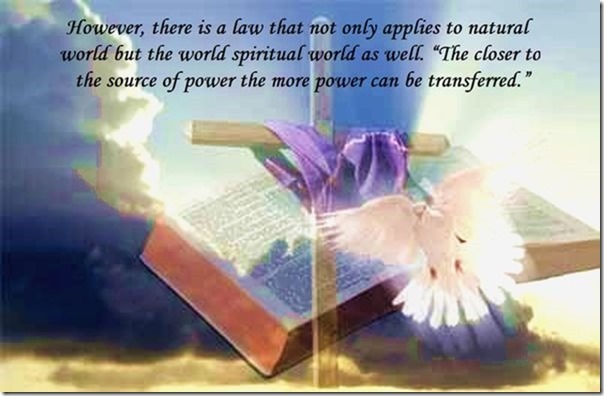 However, there is a law that not only applies to natural world but the world spiritual world as well. “The closer to the source of power the more power can be transferred.” The planet Mercury absorbs more of the suns power than does the planet Earth. Likewise the intimate you are with Jesus the more intimate you will be with the God. Perhaps the three most important words used by Paul are these “but we received” which means that we already have the capability of knowing God’s thoughts (to the extent we need to understand them) we only need to increase our capacity to do so, we need to “snuggle up” closer to God!